I asked my FB readers what they wanted to see on the blog this week.....this tank was one of them! I am a crazy baseball mom so this tank is super fitting! I used a matte fabric paint for this project....I won't again! 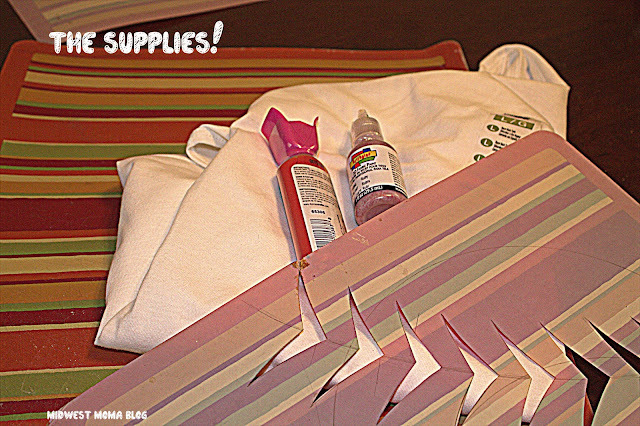 I have always used the Tulip Satin fabric paint for projects like this in the past and when I make another one, that is what I will buy! In the picture, you will see a glitter paint.....I decided not use it because I am not 100% happy with the matte paint. I will be making more of these because they are going on the Etsy Shop....when I decide to use the glitter, I will post it! The template is homemade. It is an old plastic placemat from my table! I use these these all the time for a lot of projects. 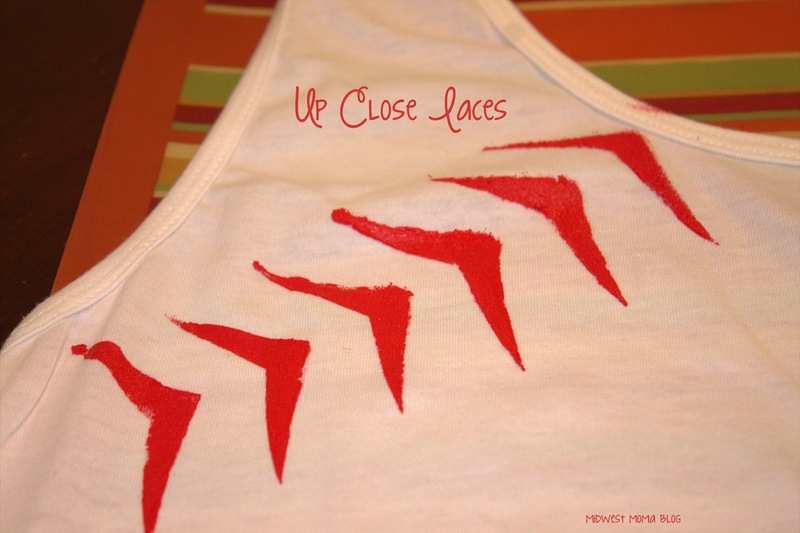 I played around with a piece of paper to decide how I wanted the laces to look. Then I used it to trace the lace pattern onto the mat, then I cut it out. And here....is the finished product!! There were ideas flying last night at the ball fields to dress her up...team name down the back, football versions....and they will all happen :) When they do, I will totally share!! Well, this is just too adorable! Love it! I will be there :) Thanks so much for the invite! Aww I love it! 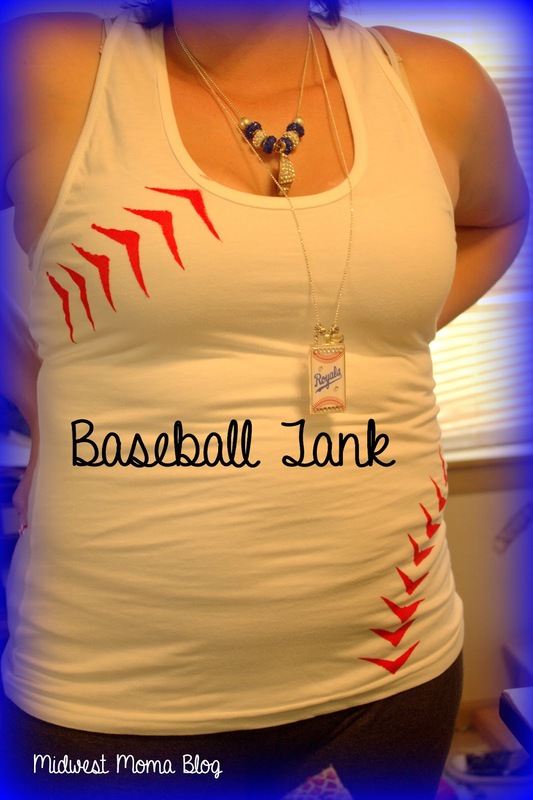 The stripes are super cute, and perfect for baseball season! I'm pinning this, and thanks so much for linking it up to my party!